A selection of wooden potting sheds in various shapes and sizes. 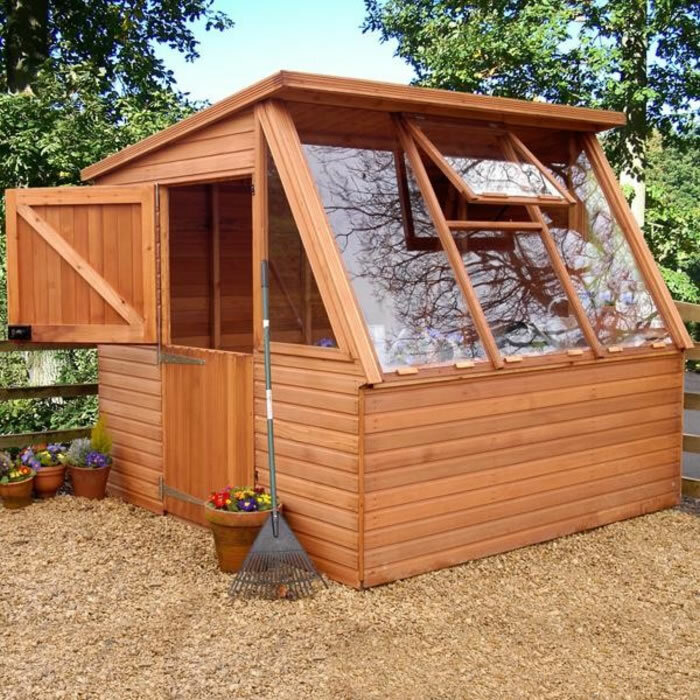 Our range includes economical traditional potting sheds with conventional stable doors. It extends to Octagonal buildings and even through to 12'x12' (366x266cm) western red cedar potting sheds. 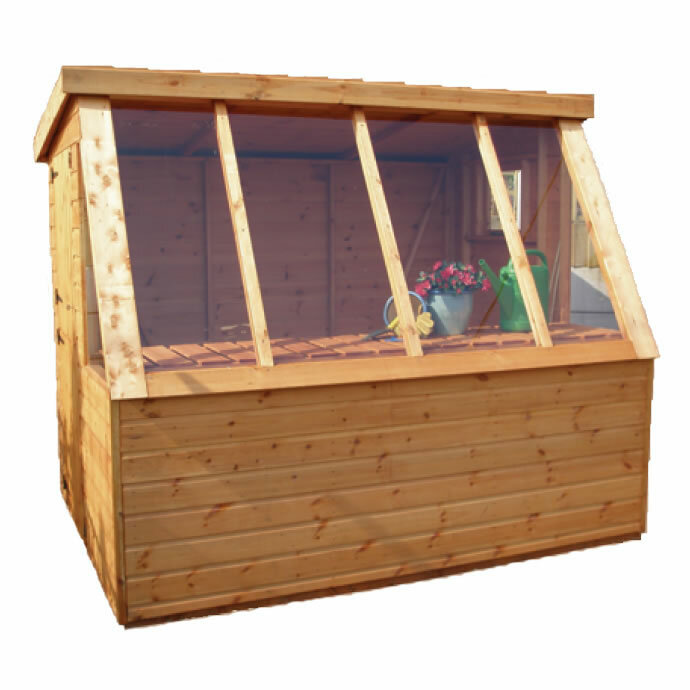 The Rowlinson Potting Store 2m x 3m is an attractive garden building featuring plastic safety glazing throughout and potting benches. A sunflower pent potting shed 10'x6' (3.05x1.83m). With many optional extras available. 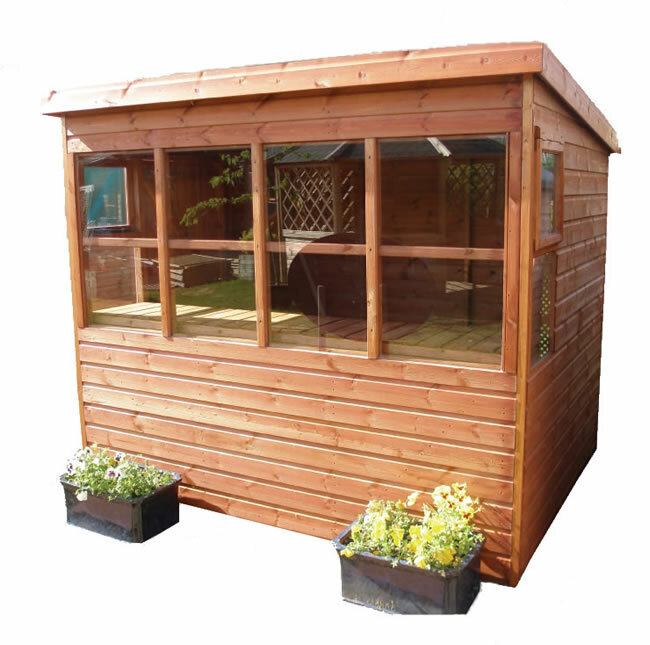 Traditional sunflower pent shed 10'x8' (3.05x2.43m), available with a variety of options. 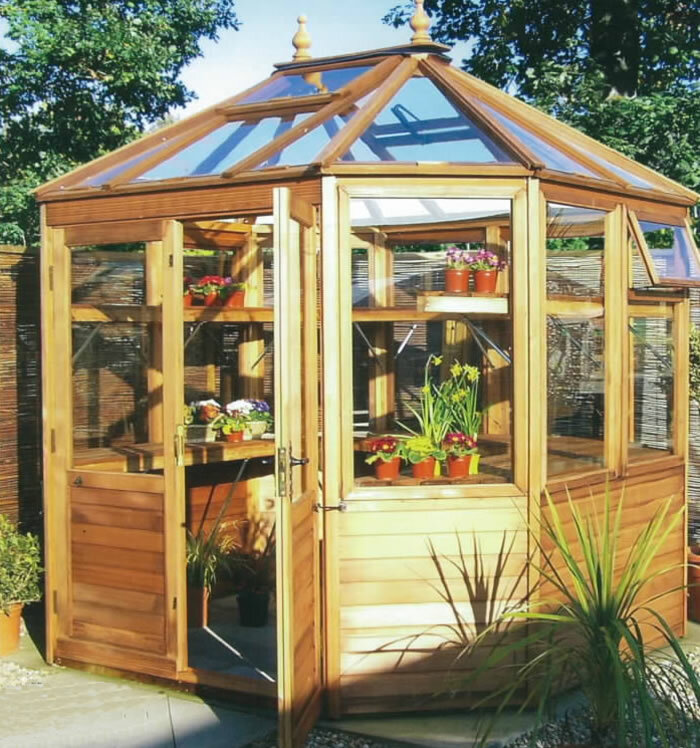 The sunflower pent potting shed 6'x6' (1.83x1.83m) a traditional design. 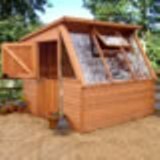 Traditional sunflower pent potting shed 8'x6' (2.43x1.83m). With many options available. Traditional Potting Shed 10'x6' (3.05x1.83m), a nice sized garden building. 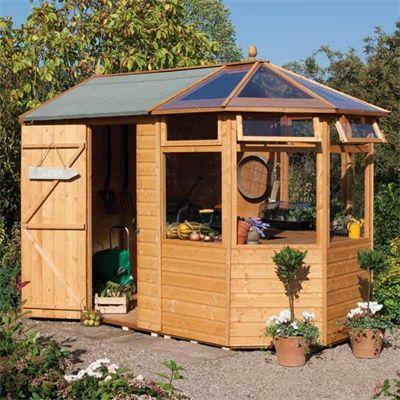 Traditional Potting Shed 10'x8' (3.05x2.43m), a lovely sized garden building. 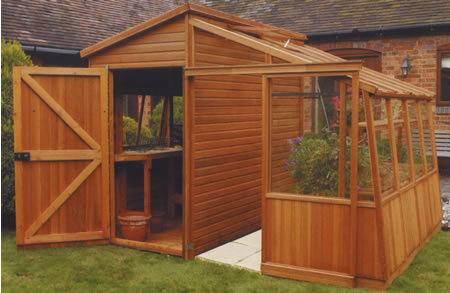 Traditional Potting Shed 6'x6' (1.83x1.83m), with various options available.